Twenty-five leading American teachers of Soto Zen Buddhism speak to all who have suffered and sought spiritual guidance, revealing personal stories of sickness, death, political anger, fear, jealousy, environmental corruption, disillusionment, and longing for peace. They offer insight to how to stand with poise through the woes of existence and emerge transformed by our suffering. The transformative nature of Zen practice gives strength to face all possibilities. The entire book wears the mantle of Kanzeon, the goddess of mercy, the one who hears the cries of suffering and offers the loving hand of compassion to all living beings. At our October 14 half-day retreat, Mountain Rain's co-guiding teacher Myoshin Kate McCandless will read from her chapter of the book, "Beings are Numberless: When Bodhisattvas Get Discouraged" accompanied by a slide show. When you care about beings from plankton to orcas to refugees, how can you stay steady on the bodhisattva path? 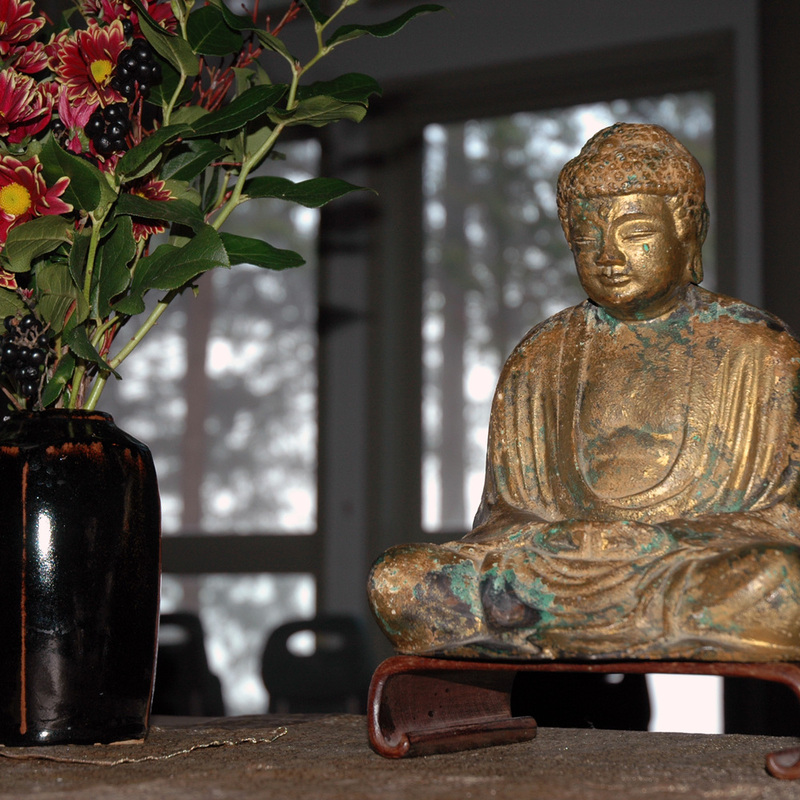 Books are available at the zendo for $18.00 CA with proceeds going to Mountain Rain Zen.